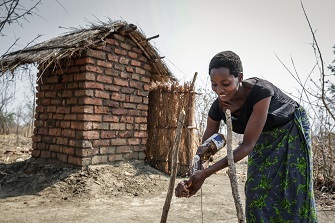 In Kwitanda, we implement community-led health interventions to drive lasting change with sustainable impact. 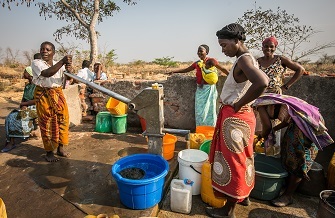 Since 2008, VillageReach has led efforts in the Kwitanda catchment area in Malawi to strengthen the health system at the community and facility levels by increasing health worker capacity, implementing cost-effective interventions, supporting preventative health programs, implementing community-based treatment programs, and improving communication systems between community health workers and health centers. Kwitanda is essentially the last mile, and as such gives us the opportunity to impact health at the community level, to implement proven health interventions with first-hand insight into all key contributing factors. In this sense, Kwitanda is an “innovation incubator,” supported and lead by community members. Ongoing data collection and reporting efforts are providing real-time insight into our activities and the needs of the community, particularly among women and children. These efforts include the registration of each pregnant woman in Kwitanda along with data on the services and treatments received through the course of the pregnancy. This data will increase insight into the proportion of women receiving key MCH services, including tetanus prevention, delivery in a facility, and attendance at PNC, among others. 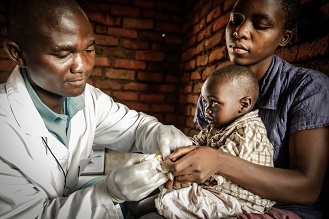 For children under five, monthly data collection efforts focus on malaria, diarrhea, and ARI indicators to help understand disease incidence and identify factors that affect access to treatment including availability of village clinics and stock-out information. One of the most unique aspects of Kwitanda is our direct engagement with community health workers, or Health Surveilance Assistansts (HSAs). VillageReach employs local HSAs who provide basic health services, lead advocacy, education and awareness efforts and data collection activities. 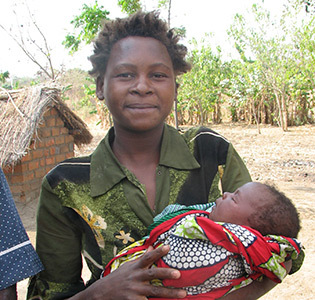 In the Kwitanda region, women may travel as many as 19 kilometers to seek maternal care. VillageReach HSAs like Anstey and Gladys (see right) help reduce the distance between mothers and provide the support that they need to keep themselves and their children safe and healthy. One of Anstey’s primary responsibilities is to run a village clinic that is in part funded by VillageReach. She operates the clinic, which supports four villages, two days per week. Galdys’ work to improve the lives of mothers and babies in the Kwitanda community is incredibly important. She has formed a maternal and neonatal health committee with fifteen volunteers to mobilize and educate the population.